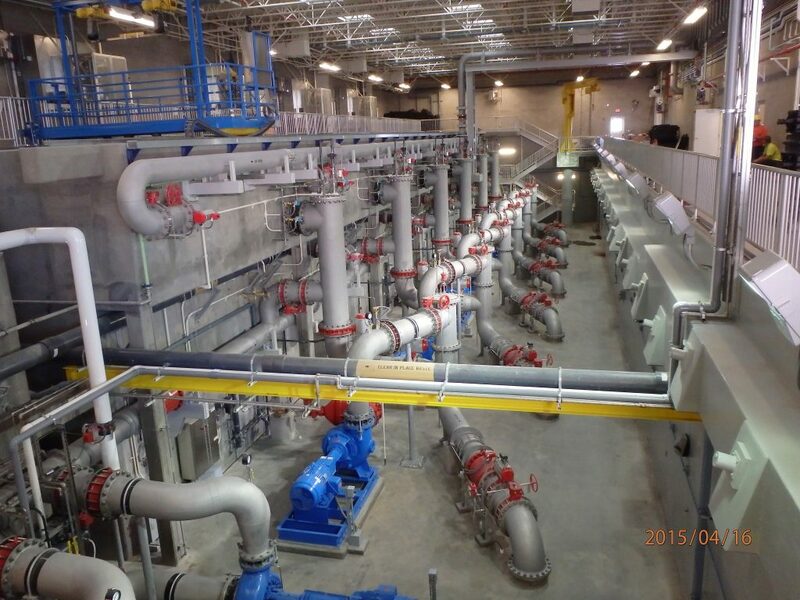 Demolition and reconstruction of six membrane filter basins at a recently completed 36 MGD plant. 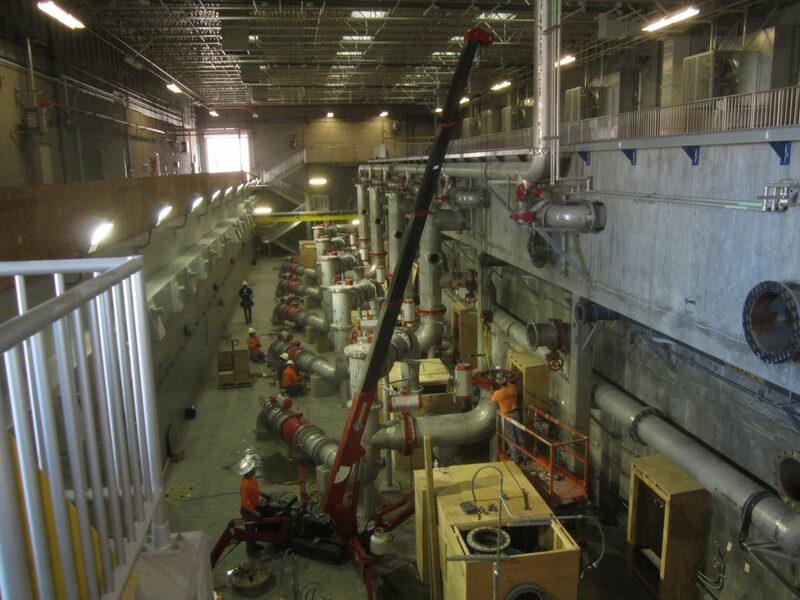 Major work phases included removal of mechanical piping, demolition and reconstruction of concrete filters, and reinstallation of piping, instrumentation, and electrical. 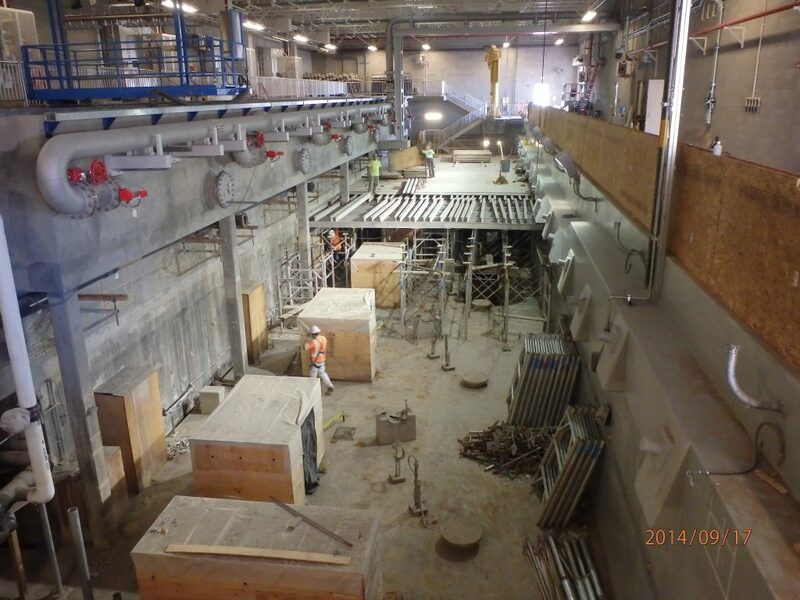 Challenging access and shoring requirements due to the need to protect existing structures during demolition and reconstruction. 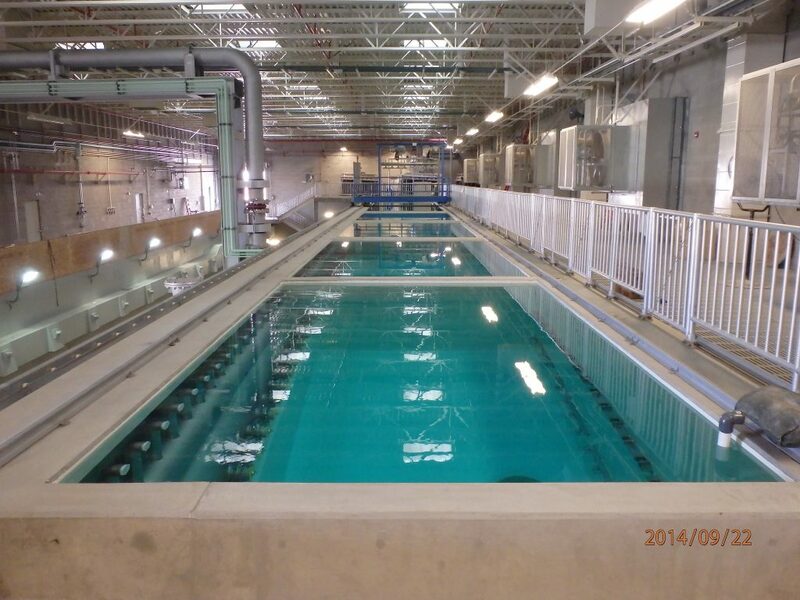 Project also included construction of a new 2.5 MGD solids handling facility for membrane backwash water.